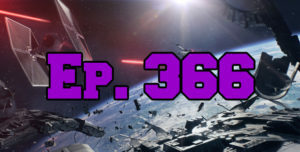 On this leap year episode of The GAP Luke Lawrie, Joab Gilroy, and Nathan ‘NachosJustice’ Lawrence talk about going to Star Wars Celebration in Orlando to check out Star Wars Battlefront II. They also discuss the games they’ve been playing which includes Prey, Nier: Automata, PlayerUnknown’s Battlegrounds, Thimbleweed Park, and more. In the news the Nintendo Classic Mini stops production, and Titanfall 2 is getting some free DLC. This episode goes for 2 hours and 35 minutes, it also contains coarse language.